If you are a man of African American descent – or a woman who loves him — I hope you read this. You are in the group that is hit the hardest by prostate cancer of all men in the world. When you look at the men at highest risk of getting prostate cancer, one risk factor that stands out is having a family history of the disease – a father,brother, grandfather, or uncle, on either your mother’s or your father’s side of the family. The other one is being black. There are a bunch of reasons for this, including genetic differences in the androgen receptor, and lower levels of vitamin D, and diet, and socioeconomic differences in medical care, and some other things in the book I co-wrote with the great Johns Hopkins surgeon/scientist Patrick Walsh, called Dr. Patrick Walsh’s Guide to Surviving Prostate Cancer. But those things – while certainly important, and of potential help for researchers trying to treat or prevent the disease in the future — don’t even really matter to you right now. What you need to know is that when African American (AA) men are diagnosed with prostate cancer, it is likely to be a more aggressive form of cancer. You are more likely to need to go after that cancer – if I were your relative, I would tell you not even to think about watchful waiting, or active surveillance, or whatever a doctor might call getting a repeat biopsy 6 months to a year later, and continuing to watch that PSA. 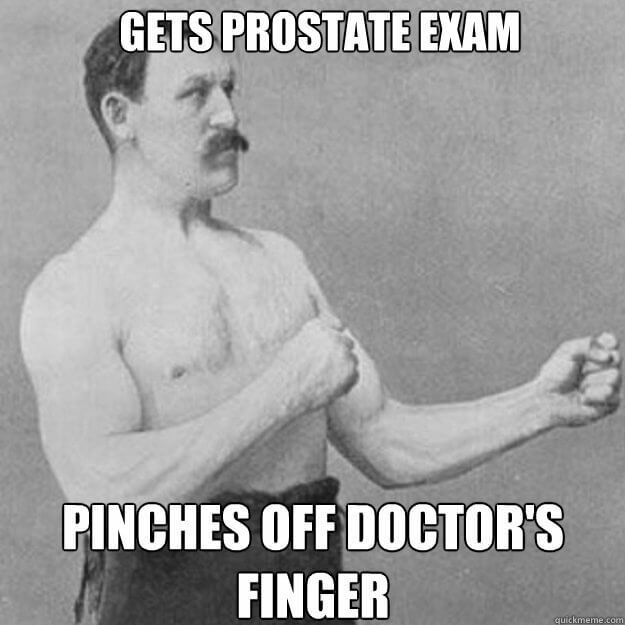 You can’t do that, because prostate cancer is most likely different in you, and you need to take it very seriously. I recently interviewed Ted Schaeffer, M.D., Ph.D., Director of the Johns Hopkins Brady Urological Institute’s Prostate Cancer Program, for a publication called Johns Hopkins Urology. (Note: Schaeffer is now chairman of urology at Northwestern.) A few years ago, Schaeffer made some important observations about the differences in cancer between men of African ancestry and other men. He followed up on them with research, he is the leader in this field, still actively researching this, and his findings are saving lives in the AA community. “African American men often present with more aggressive cancers than other men,” says Schaeffer. For example, if you are an African American man who has been diagnosed with Gleason 6 (a stage of cancer that is often treated successfully and cured) disease, you have “a one-third higher chance of having more aggressive cancer than the biopsy suggests.” Also, “we found that when these men have surgery, they have a higher likelihood of needing additional adjuvant treatment.” These findings, published in the journal, Urology, were based on the outcomes of more than 17,000 men who underwent radical prostatectomy at Johns Hopkins; 1,650 of them were of African ancestry and were not only more likely to have a higher-grade cancer and larger tumors, but to experience recurrence of cancer compared to Caucasian men. This is particularly worrisome in a time of confusing medical information, when many men and their doctors worry about overtreatment of prostate cancer, about side effects from surgery or radiation that didn’t need to happen, because maybe that disease would never have progressed, and a man could have lived his whole life without the cancer ever causing a problem. Yes, there are lucky men like this, and in a future post we’ll talk about what the criteria are for safely watching cancer, instead of taking it out or blasting the crap out of it with radiation. If you are a black man, you are most likely not one of these lucky men. I’m sorry, but you just aren’t, and I want you to know that so you can do something about it. If you are a black man, and you’re age 40 and you haven’t had your PSA checked and you haven’t had a rectal exam to check for prostate cancer, you need to do it. You don’t want to get a rectal exam? Please. Don’t tell me, or any woman who’s had kids, where it’s like a train station in the hospital exam and everyone’s looking up inside you, that you don’t want to get that exam. It’s not that bad, and it can save your life. If you are getting regular PSA exams and your PSA is going up consistently, more than 0.4 ng/ml a year (say you have one test and it’s a 1.4. The next year, it’s 1.9, then 2.5), you should get a biopsy. Don’t look at the overall number. PSA hasn’t been around that long, and at first, doctors thought that a PSA lower than 4.0 was okay; unfortunately, they missed a lot of cancers with just a basic cutoff number, because all men are different, and many factors, such as a man’s age and the size of his prostate, can affect that number. Ted Schaeffer would tell you that you should get an MRI-guided biopsy, because the MRI can pick up cancers that the biopsy misses. If cancer is found, you need to treat it. Not with herbs, or dietary changes, or exercise, or supplements, or watchful waiting. Seek curative, aggressive treatment. Don’t miss my next post in this series. Subscribe by email below and be the first to receive notifications of all of my articles.